Used to extend the distance between a 15pin video input port and the display output source. For example, this cable enables a 15pin VGA display port on a computer system to be interfaced with a 15pin input connector on an LCD television. With the extra length this video extension cable provides, the source and destination devices can be some distance apart. 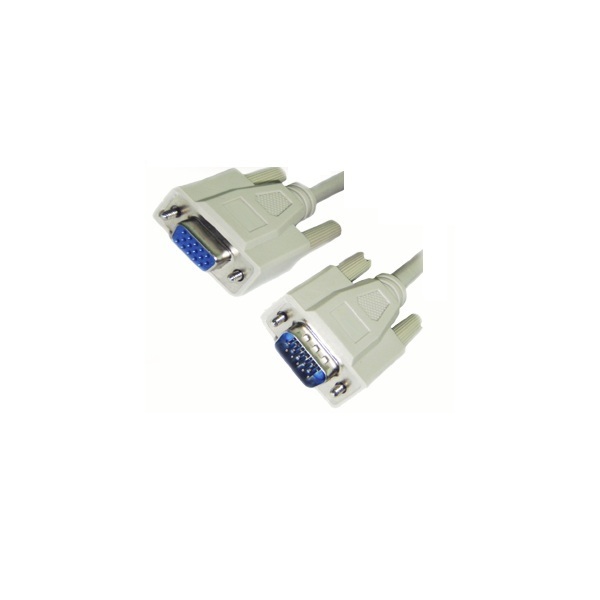 * Connector or adapter type: VGA HD15 15 pin male plug to VGA HD15 15 pin female plug. * Cable length: 5 metres.